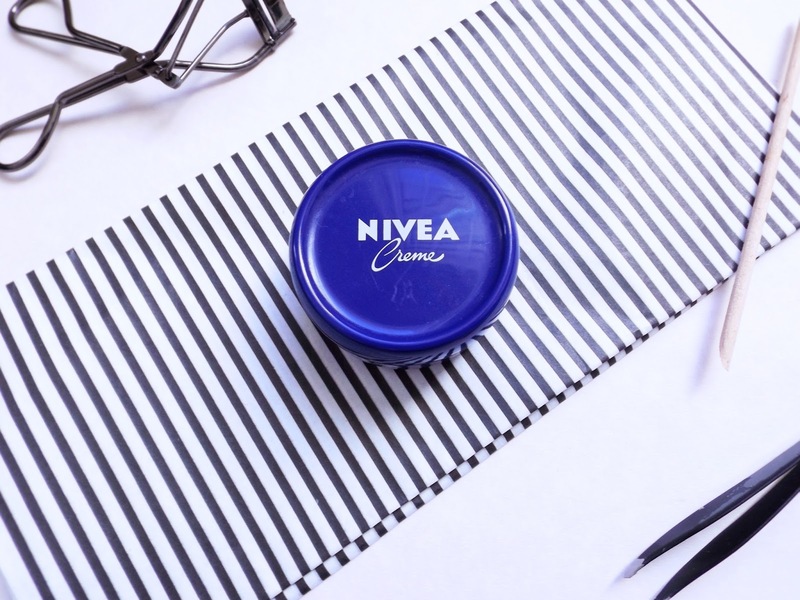 For me, Nivea Crème was my first, and always will be the love of my life. . It's something you might have found lurking about in your Nanna's stash and you may have dismissed for its old fashioned-ness and unsexy packaging, but my god I'm thankful for the introduction. Its results even famously won against the über expensive Crème de la Mer option. I decided to reintroduce it into my regime to see how I got on. Yes, let's address the elephant in the room - it's an emollient, mineral oil heavy product. 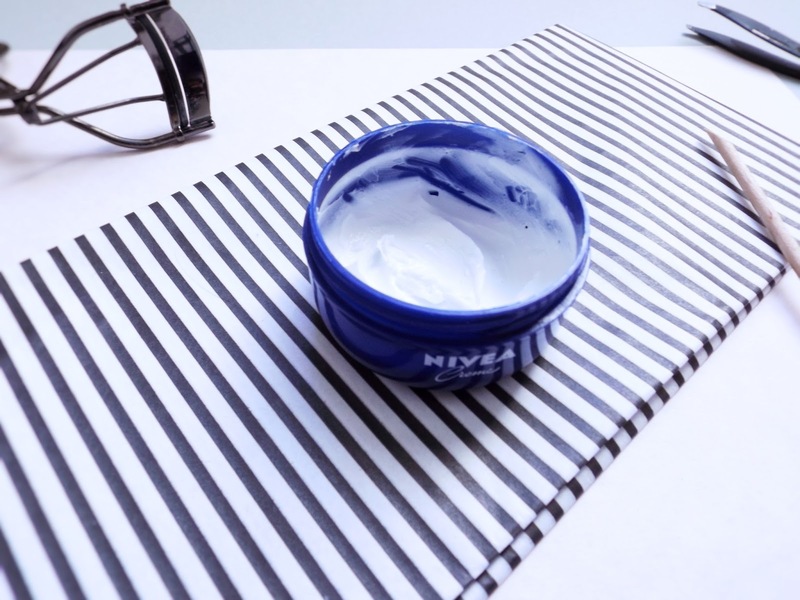 However, before you click away shuddering, so is the ever so hyped Elizabeth Arden 8 Hour Cream and for me, Nivea's version is superior. It's also about an eighth of the price. No, it doesn't clog my pores or break me out - it does the opposite. The results are amazing. Never have my lips been so soft: I've tried all the blogger recommended lip balms including Nuxe Reve De Miel, Lush and Body Shop lip butters, but nothing do quite the job as the Crème - super soft and chapped no more, which is a problem I usually really suffer with. I will admit, it's a bit strange to apply this ultra thick cream to your lips, but I quickly got over it. I've experimented slightly by replacing my usual facial oil/evening moisturiser with this cheapy alternative for a month expecting to miss my previous routine, but I really haven't. I have combination/oily skin and hasn't negatively effected that in anyway. I wake up with plumper, happy skin and not a dry patch in sight. I remember the days before I implemented an actual cleansing routine (the shame), I suffered with a severe flaky nose and this would be the only thing to sort it out. My boyfriend has sensitive, dry skin and this is one of the only products he likes as its non-offensive scent and the fact it works (with good cleansing, of course). Not one for under make-up, or in the peak of summer, but it's a great winter skin pick me-up. Plus, it's great for those pesky elbows and knees as well as my favourite tip: putting on areas of your feet where your shoes are rubbing. That way you avoid those blisters as the cream protects the skin. I also love to use it as an after sun alternative; super cooling and soothing. I feel like this product is pretty overlooked in the blogosphere, maybe because people are put off by the fact its not glamorous, by its old lady stigma or that it's so cheap. I say you'll be surprised and to give it a go. I've used it since a pre-teen and so glad to have re-ignited the passion. The preservative free formula will always be a winner in my book. I always have a small pot in my travel bag at the ready. Have you tried this beauty classic? What were your thoughts?